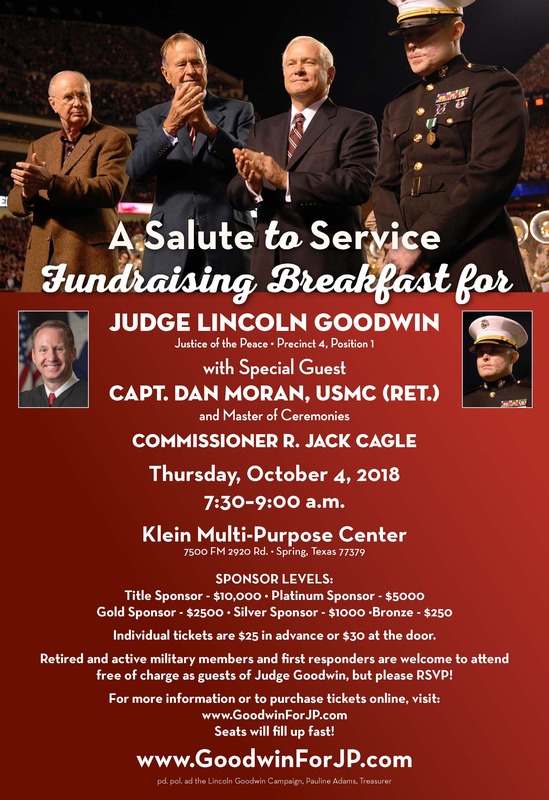 Judge Lincoln Goodwin was unanimously appointed by Harris County Commissioners Court to serve as the Justice of the Peace, Precinct 4, Place 1 in 2014. Harris County Precinct 4, Place 1 is one of the largest and busiest Justice of the Peace Courts in Texas. The court manages over 100,000 cases a year. I have a heart to give people faith in the justice system. The justice courts truly are “The People's Courts." ©2015 Lincoln Goodwin JP, Pct. 4, Place 1| Justice of the Peace pd. for by the Lincoln Goodwin Campaign. Pauline Adams, Treasurer.